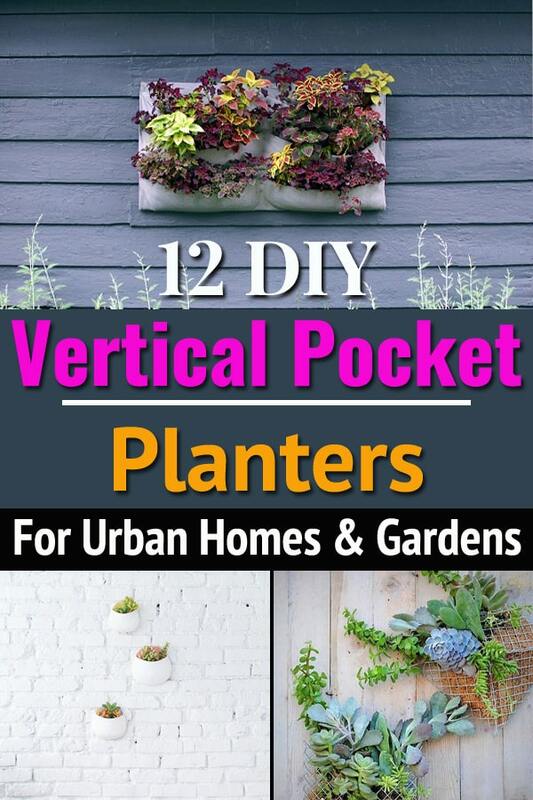 Take your love for vertical gardening to another level by making these “so easy to make” DIY Vertical Pocket Planters for your home or garden! 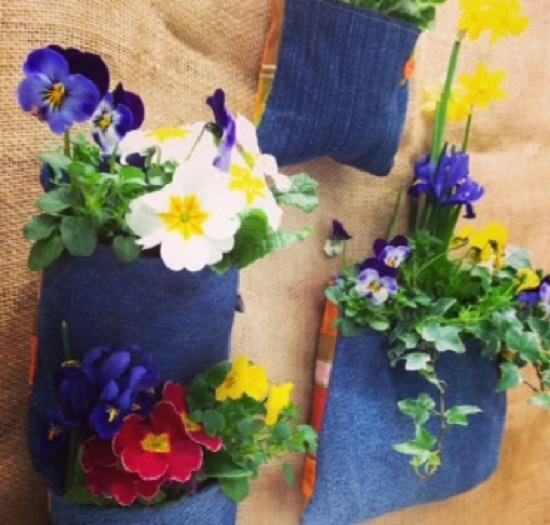 Sew these mini pockets out of colorful felts and line the inside with plastic bag to create these planters. Visit Inhabitat to learn the details. Combine metal hoop and heavy patterned fabric to make a set of these exquisite hanging pocket planters. 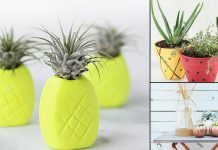 Air plants might do well in these pockets otherwise you can use faux plants too. The pockets you see above are designed out of a cutting mat using some duct tape. For hanging, you can use grommets and ropes. Click here for the details. 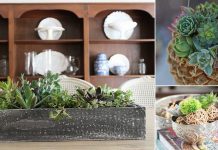 Cut and shape air dry clay the way it is shown here to make these fantastic wall pocket planters. 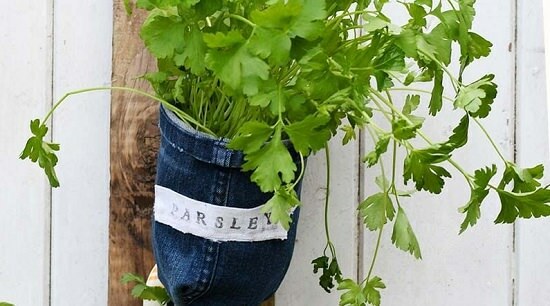 If you’ve got an old pair of jeans, you can copy this DIY plant pocket project. Check out the details here. Upcycle your old denim and some plastic bottles to design this wooden pallet herb garden indoors. Add extra interest by labeling your pockets with plant names. The idea is here. 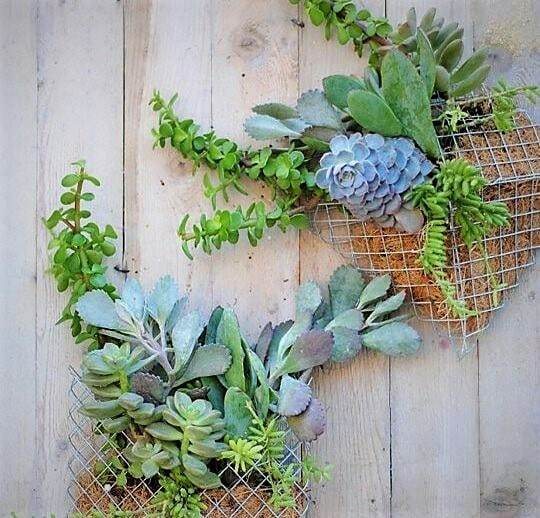 Also, check out these DIY projects from old jeans for your garden. 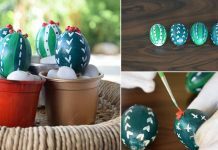 Wrap colorful fabrics in the shape of pockets and use safety pins to maintain the form. To hang them on the wall, use grommets or nail them. 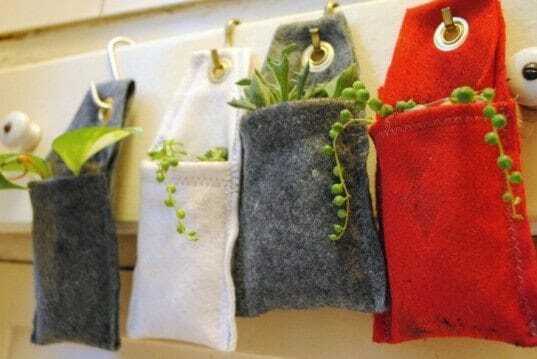 Fill the soil directly or put small plant pots that can fit well in these fabric plant pockets, a more long-lasting idea. 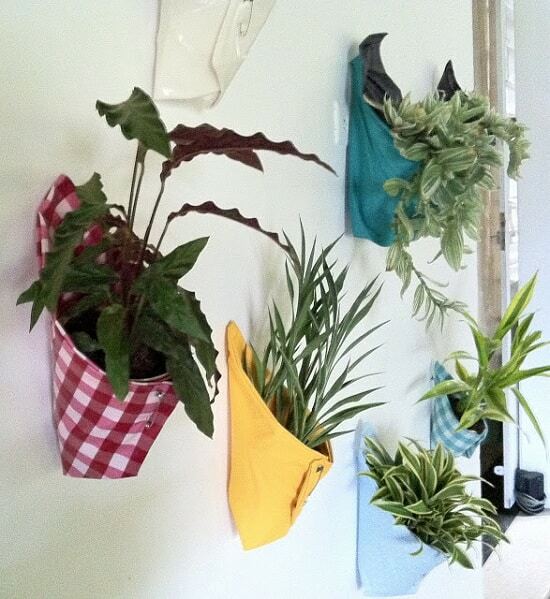 DIY vertical wall garden is easy to make and maintain. The tutorial is available here to follow. 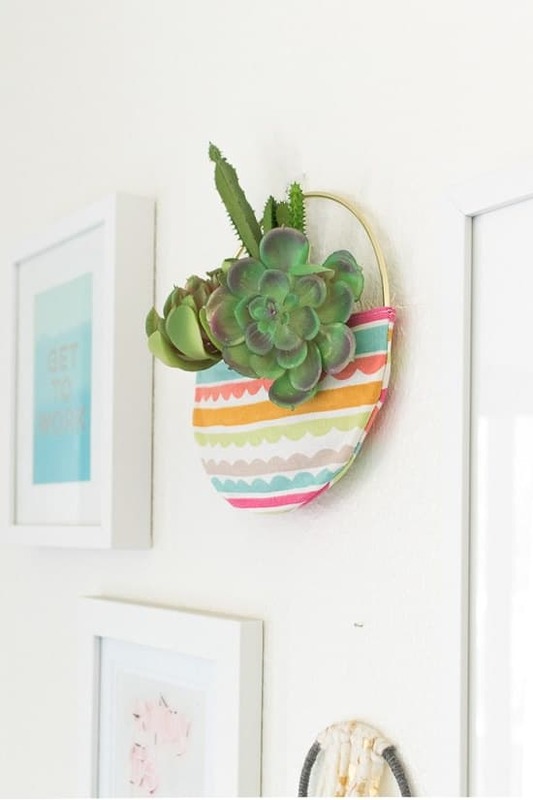 This DIY plant pocket project will not break your bank. The tutorial is available at Instructables. 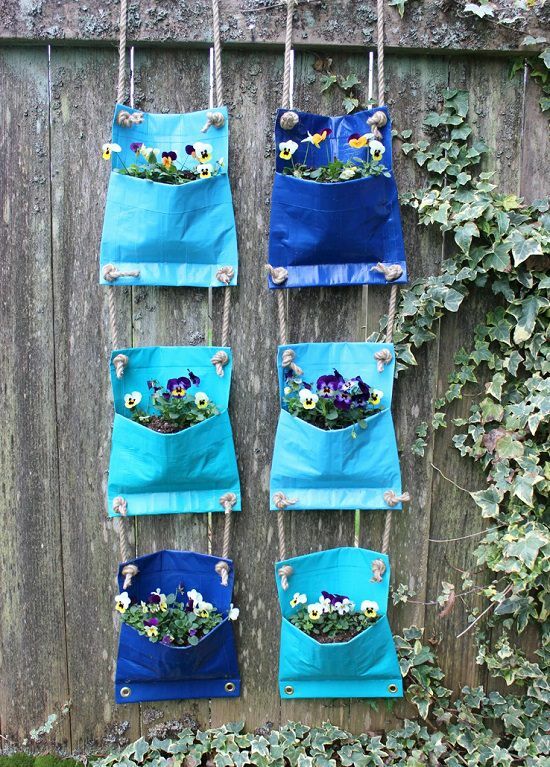 You can also use old bags, sacks, etc. 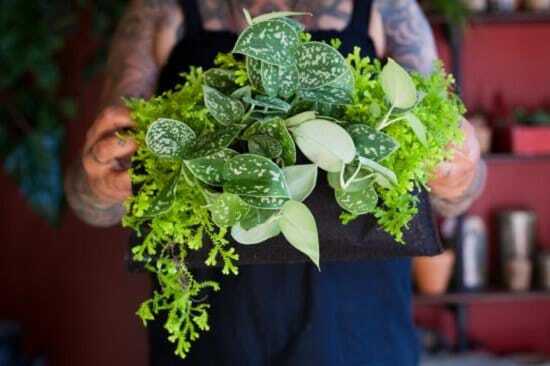 to hold plants. 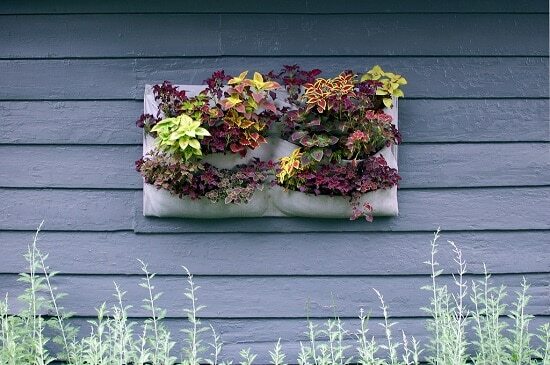 Also, check out these unique hanging planter ideas. 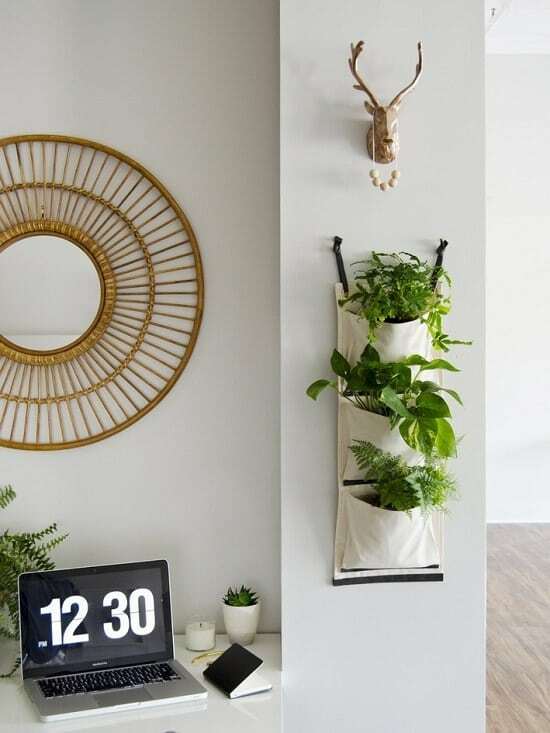 Everything is explained in very details in this article from Curbly so that you can make a modern hanging fabric planter for your home. 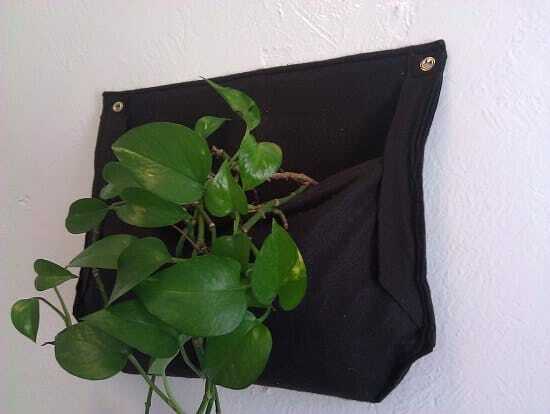 This vertical pocket wall planter is made from craft felt, plywood and some other materials. Get the how-to here. 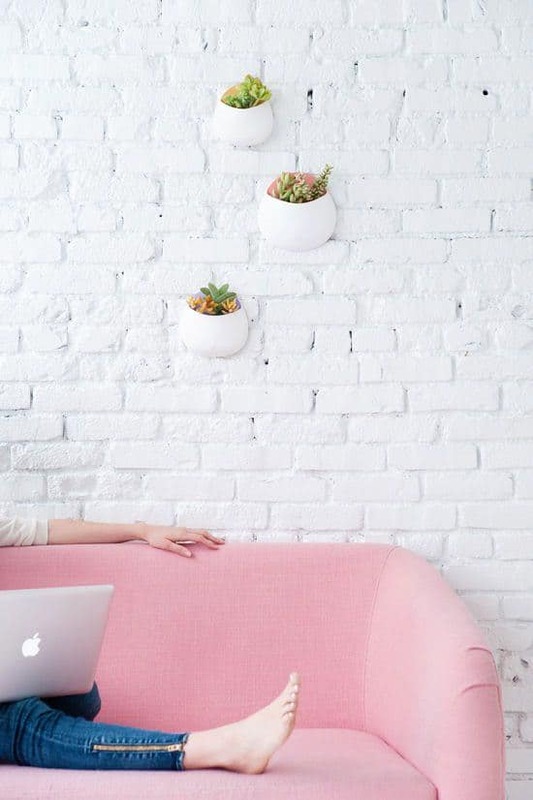 This DIY pocket wall planter idea deserves your attention if you’re looking for some nifty vertical gardening ideas. Check out the project description and directions here!